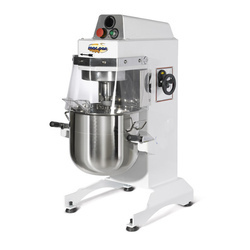 We feel immensely pleased to offer an exclusive array of Bakery Planetary Mixer that has handy front panel mounts the start/stop pushbuttons and timer. The offered product is developed by utilizing the optimum quality components and leading techniques keeping in mind the set standard of market. Also, our offered product undergoes various tests under the supervision of vendor’s quality controllers, so as to make certain its flawlessness. Besides, this product is available as per client's specifications. Under precious guidance of our skilled professionals, we are offering an extensive range of Planetary Mixer. 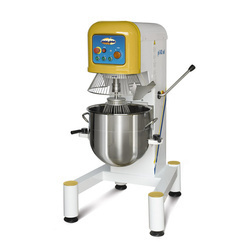 Our provided Planetary Mixer is designed specially for medium to large bakeries, ice-cream and pastry shops. In addition to this, we provide this Planetary Mixer in different specifications, in order to meet varied needs of clients. 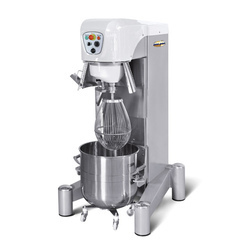 Also, this Planetary Mixer is built with low-tension electric controls and safety devices. Under precious guidance of our skilled professionals, we are offering an extensive range of Butter Press. 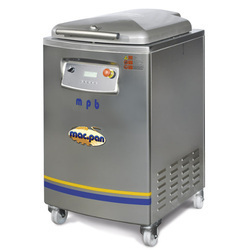 Our provided butter press is designed specially for medium to large bakeries, ice-cream and pastry shops. In addition to this, we provide this butter press in different specifications, in order to meet varied needs of clients. 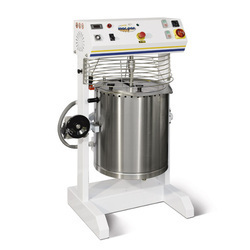 Also, this butter press is built with low-tension electric controls and safety devices. 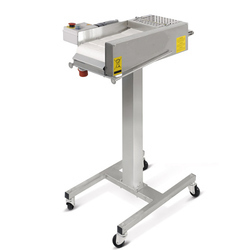 With a thorough understanding of the market of the day, we are offering an innovative range of Pastry Sheeter. Offered product is developed with high grade components and modern technology under the direction of vendor’s experts. Our product is high on demand in the market for its infinite features. Customers can easily avail this product from us at competitive rates within given period of time. 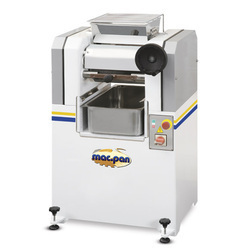 With a thorough understanding of the market of the day, we are offering an innovative range of Automatic Pastry Sheeter. Offered product is developed with high grade components and modern technology under the direction of vendor’s experts. Our product is high on demand in the market for its infinite features. Customers can easily avail this product from us at competitive rates within given period of time. Under the strict supervision of our expert professionals, we are offering an exclusive range of Grinding Machine. The given machine is precisely designed by vendor’s professionals utilizing superior quality components and by following set industry guidelines. 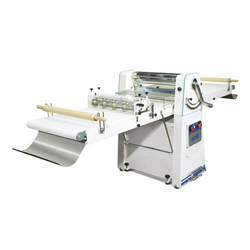 Our machine is acclaimed in the market owing to its features like longer service life and reliable functionality. Moreover, this machine is carefully tested on international quality standards by experts to assure its flawlessness. 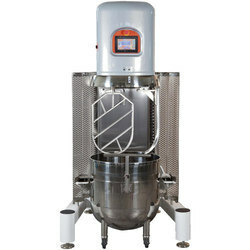 All Stainless Steel Planetary Mixer feature fixed or variable speed drives (through inverters). Standard equipment: bowl, fine wire whisk, beater and spiral. optional accessories: heavy wire whisks, scrapers and bowl trolleys. Bowls, whisks and scrapers are all in stainless steel. Beaters and spiral dough hooks in aluminium or in stainless steel (upon request). Body in epoxy painted steel Version in stainless steel upon request. ce certifi ed safety guards. All mixers come with an integrated timer. control panel for front control. 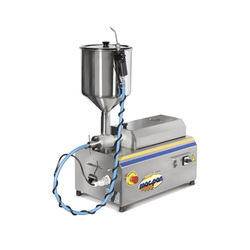 Automatic bowl lifting through gearmotor and worm screw. 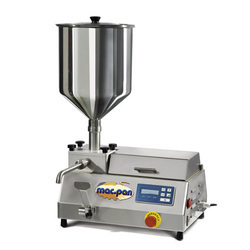 MAC.PAN presents his new Planetary Mixer, with its new control panel, which is a real leap forward in product innovation, thanks to the combination of 3 speeds plus one variable speed, and 4 timers working at the same time, optimizing any mixing cycle. the display always shows the operating status of the machine in real time. This machine has been designed and built in accordance with modern principles of rationality and functionality. It can work any type of dough even when this is very thin. The hard chromium-plated rolling cylinders are ground and polished. The scrapers can be easily removed for cleaning. 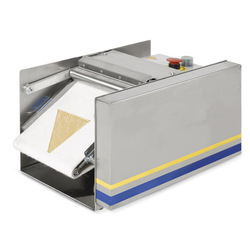 The conveyor belts feature variable speed to prevent wrinkles in the pastry.The surfaces can be raised to reduce the size of the machine when not working and in the MK500b model these are fixed. The low-voltage electric system features dual-control (by hand or pedal). 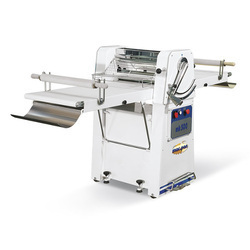 The safety-type guards are connected to the electric system by means of limit-switches.The model MK600TC is equipped with double speed motor, belts 600x1500 and cutting station for different shapes (triangle, square, rectangular, round). design and a compact stainless steel structure. 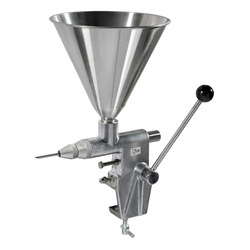 It is suitable for filling, stuffing or dripping cream, jam, chocolate cream and other kinds of sauces. it is equipped with a keyboard which is very easy to program and has three kinds of functions: manual, automatic and sequential. Automatic and sequential functions - up to ten programs can be stored. It represents one of the best products in its field and allows considerable savings in terms of time and money. 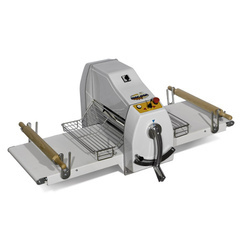 Looking for Pastries Machineries ?